Our headquarters is not so far from Ellesmere port in the UK. This is the major reason you should choose Ellesmere port minibus hire for your airport minibus hire. 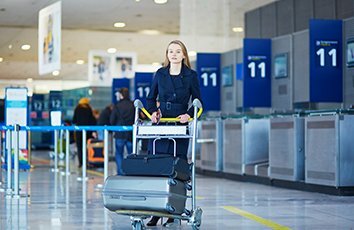 With our budget vehicles, we carry our affordable airport transfers to and from nearby airports. Our services are definitely pocket friendly and of course much more comfortable than public transport. If you are travelling with plenty luggage, it’s even more advisable to call us. Please note that our services are not just limited to the Ellesmere port area as we offer airport transfers to major airports in the UK. This includes: London Heathrow, London Gatwick, and Manchester. To ensure maximum comfort especially for long distances, you should go for our executive or luxury level vehicles. With this vehicle, you will get to the airport on time and without stress. Ellesmere port Coach hire has been offering airport transfer services in major airports in the UK for many years now. This is why we are very conversant with the airport layouts. You are sure to get to your terminal without stress. If you want, we will take you to your airline’s check-in desk. To top it all, paying for airport parking would be unnecessary. All you need to pay is a single fee that we would have included in your quote. Give us a call now and we’ll give you a quote instantly. You could also fill our online form to get an instant quote.